The work on the widening of Cub road is almost completed other than the streets lights to be fitted on the medians. We had made a story on August 17, 2012 Club road to Argan Talav road to be widened. The total estimated expenditure for the said widening is about Rs.4 crores. 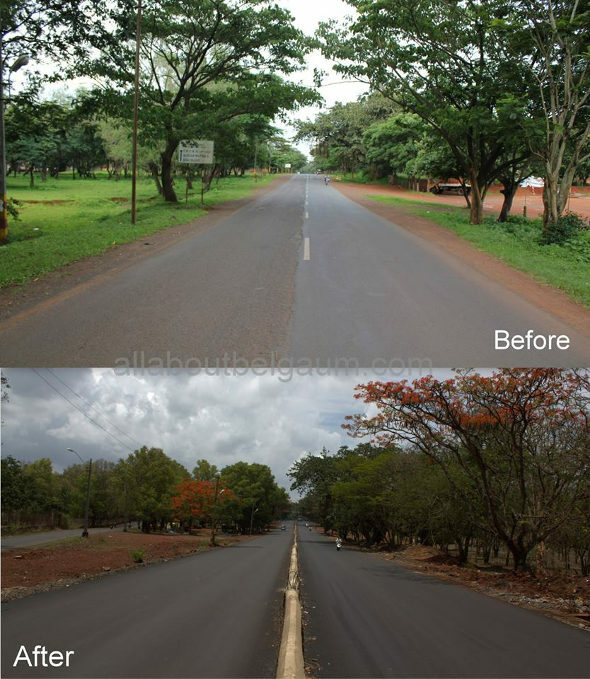 All is fine, but it is being at a huge cost of cutting down trees and making green belgaum into a city of concrete. Once a Mahabaleshwar of poor now its totaly mssed up town under the name of development. Its a thumb rule, that for any reason if one tree is cut to ground then, it has to be replaced with plantation of 10 trees (considering plant survival rate).